The perfect solution for users of several wireless systems on stage, or for laboratory and industrial applications. 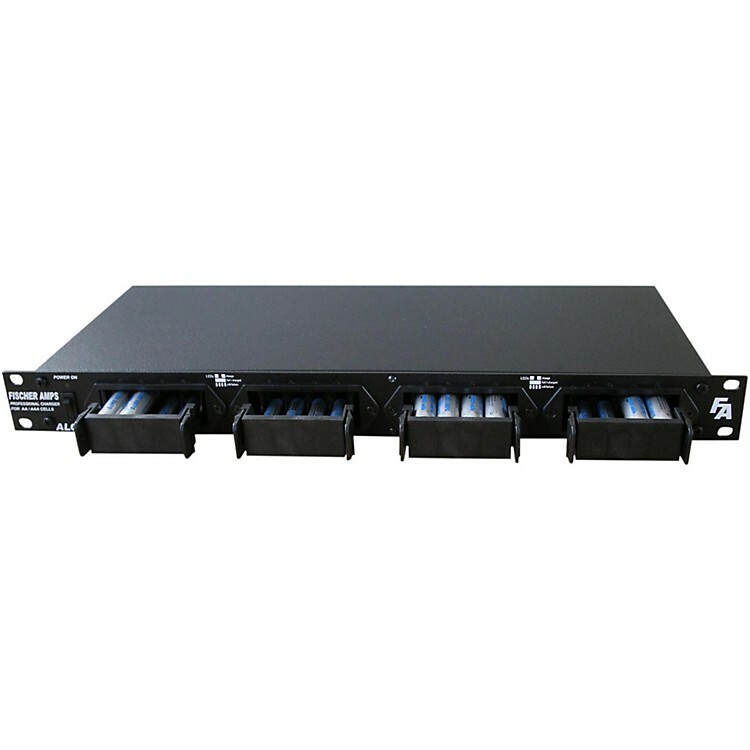 The ALC 161 features the latest charging technology integrated in a professional, practical housing ready to be mounted in a rack. These processor-controlled ultra-rapid Fischer Amps chargers make the decision on working with rechargeable batteries easy. Charging time: max. AA batteries 2850mAh - 240 min, AAA batteries 1000mAh - 150 min.